Although I will be selling these I am trying to write this witthout any bias but trying to keep this review strickly from a professional tuba players perspective. I was able to do a side by side with the Eastman and they both have qualities that really make these new models a standout and I have no hesitation on putting these up with the very best coming out of Europe today. 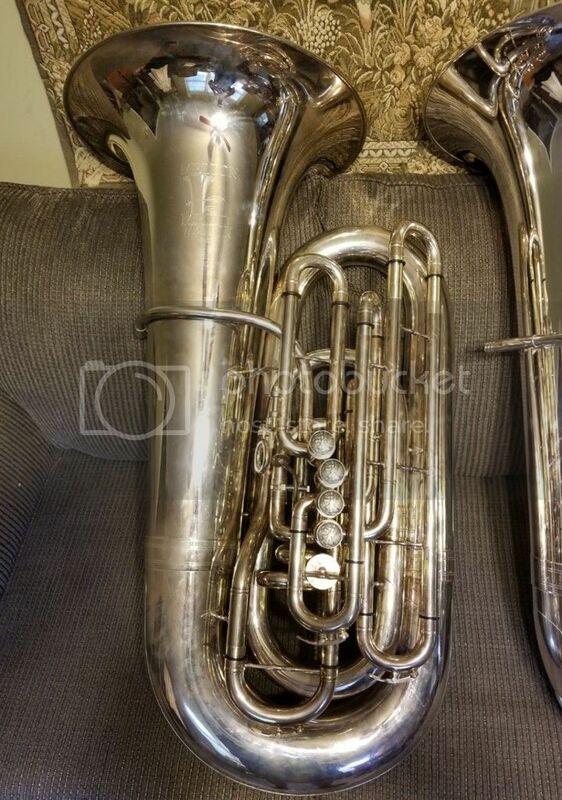 Both tubas will offer slight variations that will be appealing to different players so I can't say one is better than the other. Pitch, sound and response are very comparable but for me the ZO just has a little more zip overall which does appeal to me a little more. The Eastman was so smooth, that's why I did buy one of the first 5 when they first came out, so buying the ZO seemed to be a little risky at first as that is a very tough act to follow. I am glad to say that smoothness and overall consistency of the ZO is just as good. 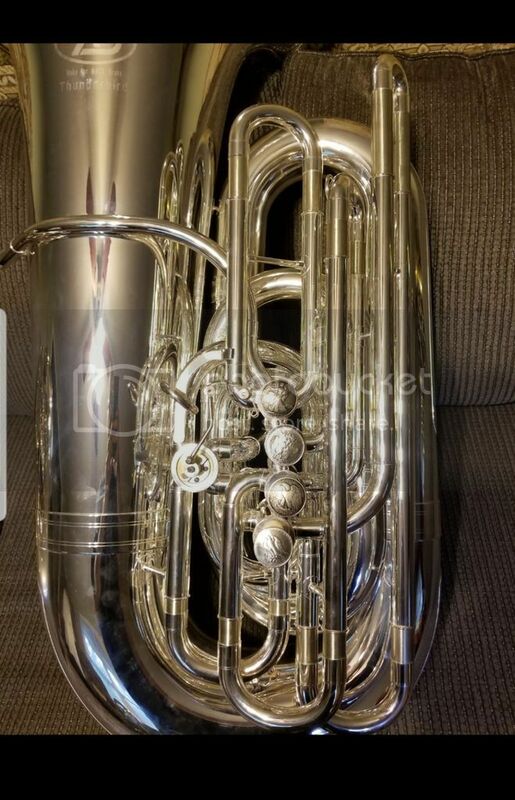 I really liked how Eastman had all the valves vented and I think this is will be a change I am going to ask the factory to do on future orders. The Eastman valves were a little lighter but that is really more to do with the fact that the ZO valves are bigger mostly in overall length. The bore and slide tubing on the ZO was a hair larger and I think the bore size is what gives the Zo a little more zip in the lower register. Without a great deal of study, I did take my MAW valves to test them on the ZO and they fit perfectly. Because of the difference in the valve guide channel I won't be able to really install them properly but initially it appears as though the MAW valves will work. I didn't have a scale to weigh the Eastman but I was able to weigh the ZO prior. 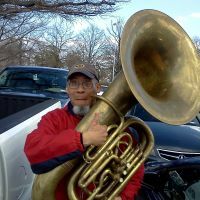 Both tubas felt to be about the same weight and the ZO does weigh an incredibly light 23.2 as attributed to being hand made. 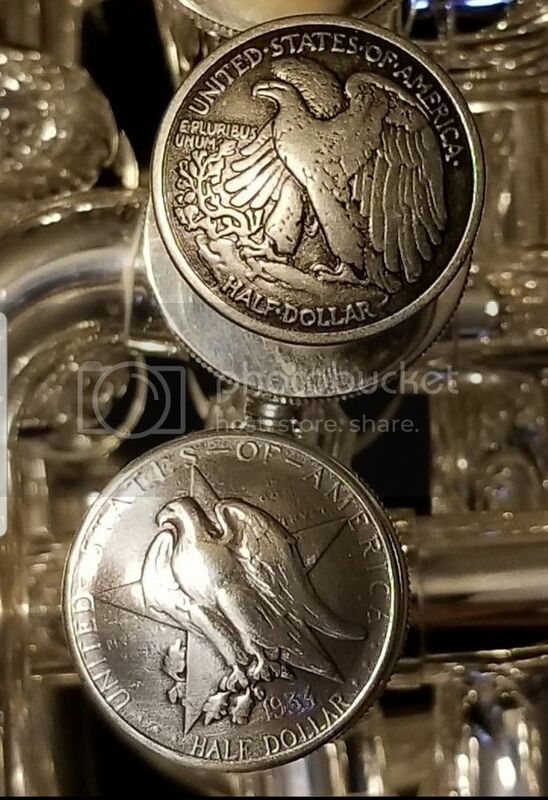 When I had the Eastman I did have to put a fair amount of time into getting the tuning slides to move how I wanted but this is something that is not uncommon with most new tubas. The ZO is not much different but I will say that the construction of the slides themselves seems to be a little more refined and smoother. It will still take some time to get the slides moving a little better but out of the box the slide action is better than my Thor is today. Silver plating; this is an area that I am most pleased with. The ZO appears to have a much thicker plating than any other instrument I have imported. With thinner plated instruments you can see some buffing marks underneath but as the plating becomes thicker those marks disappear. I think that the combination of the thicker plating and high quality finishing gives the ZO a top notch finish that will certainly lasts for years to come. There is one thing that I did find with the valve caps. I am having the factory redesign the top caps so that they will accept the felts underneath allowing to the valves to be perfectly aligned. With the current top caps the valves are just a little off in the open position but what's interesting is still how well the horn plays. I can only imagine how much better the tuba will play when the new caps arrive. As of the time of this posting the newly designed caps are on the way. This change will be implemented on the new 4/4 piston CC that will be available shortly as that uses the same valve block. 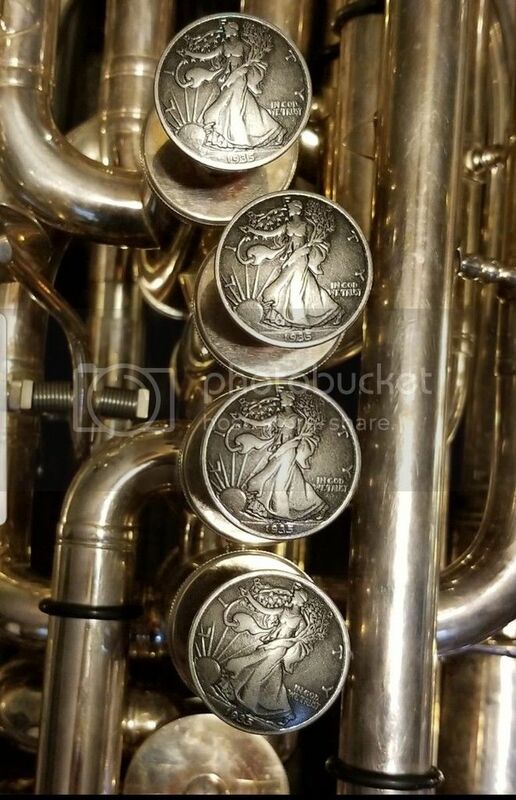 There is one thing I will be offering with this new tuba and that is a new set of finger buttons in addition to the factory ones. 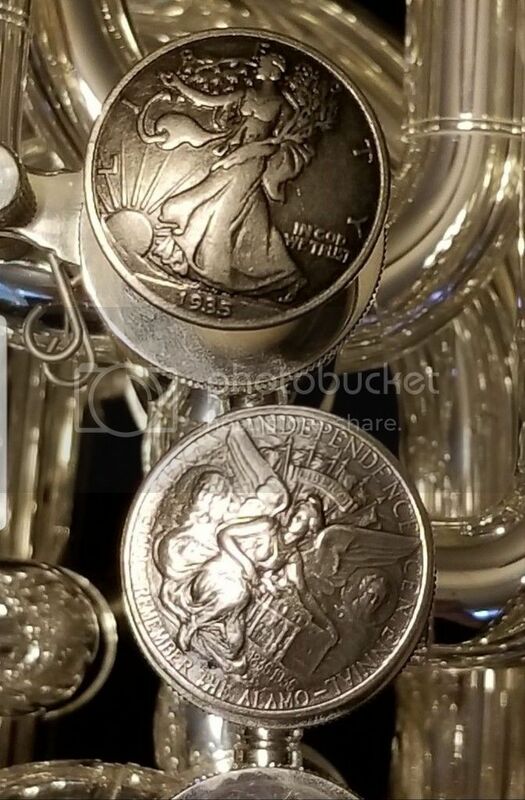 The new finger buttons are copies of the walking liberty half dollar and weight about 9.4 grams, more than half the weight of the MW finger buttons. 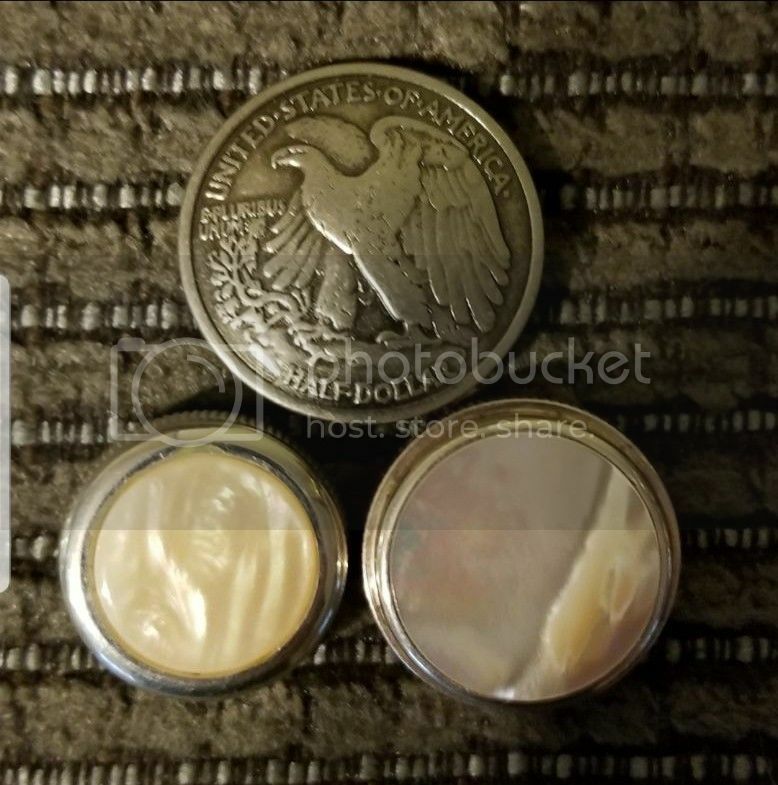 My finger buttons are the same diameter as a half dollar but they are concave in shape and not flat. These buttons offer a nice texture and feel on the finger as well as adding something that's a little different from the standard buttons made on pistons today. 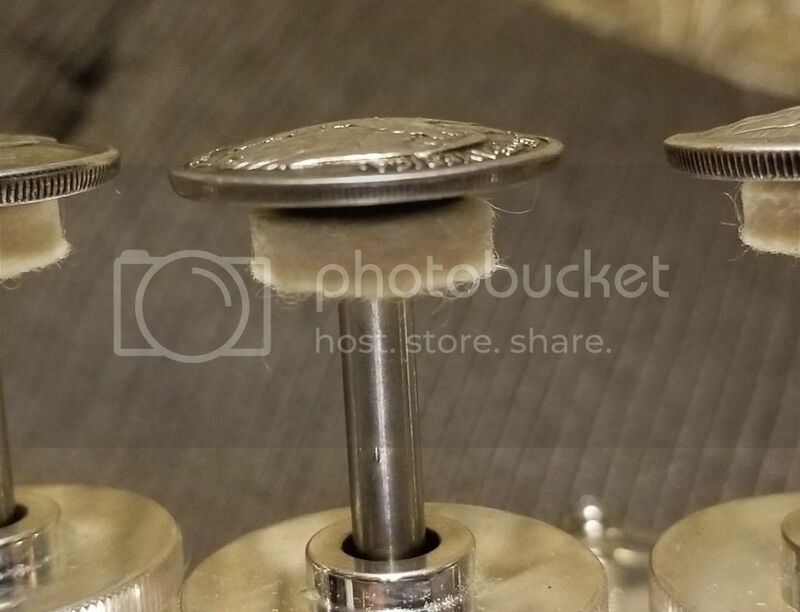 The threads of the button will fit the ZO tubas as well as the Meinl Weston, B&S, Nirschl and any other tuba with those thread sizes. Pictures are available so shoot me an email if you like. The logo will say, Made for Mack Brass as opposed to the standard Logo that comes on these. Here’s pics of the buttons from Tom.